Welcome to the Science of the Stars,the Physics of the Gods or the Energy Construct of the Universe. Here you will find in easy to understand terms,how a new Atomic Structure is required to explain the anomalies of science and pictures to show some of the 1000’s of experiments utilizing Electro-Magnetic restructuring of Water.This is NOT electrolysis.This is Magnetic Field Creation for the observation of Field interactions upon all of what we call matter. Magnetic properties of Water can best be described as ‘memories’ and ‘frequencies’ and experimental results obtained, challenges the accepted foundations of physics, chemistry and science.This Magnetic Field Science of Water opens up a plethora of new ideas and inventions,These Magnetic Field Generators or “Cells” have many applications and no field of human endeavor is exempt.Health,healing,water purification and energy production but to name a few. "If you do not support the free speech of those with whom you disagree, then you can not legitimately claim that you support free speech." 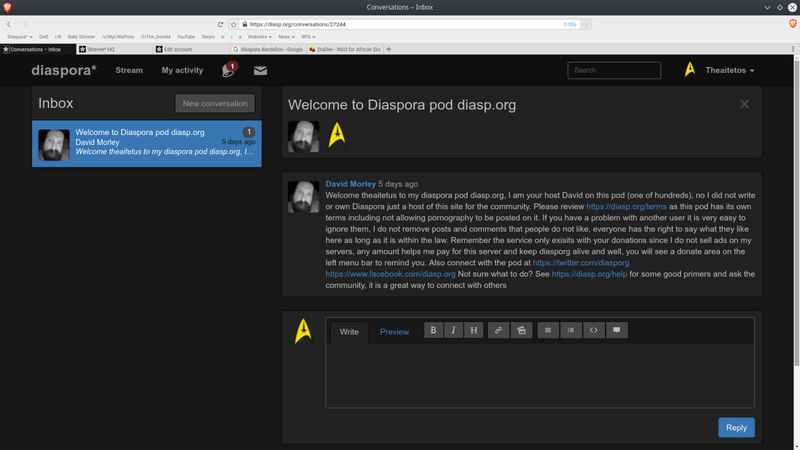 We believe Diasporans should be mature enough to decide on their own what content they want to see and interact with. 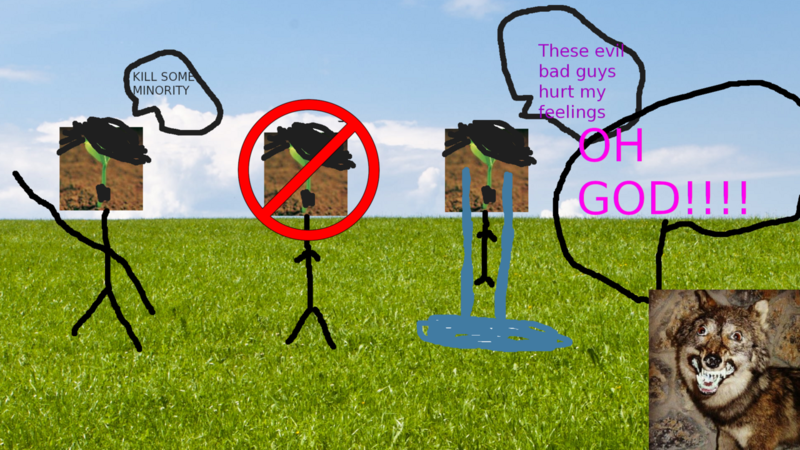 The d* dev team gave us the block/delete/ignore functions for this reason. We see it as an insult to the intelligence of their user base when podmin make the decision for them, on what content they should see and who they should be allowed to interact with. We see politically biased shadow banning as going against the fundamental principles on which the diaspora project was started. 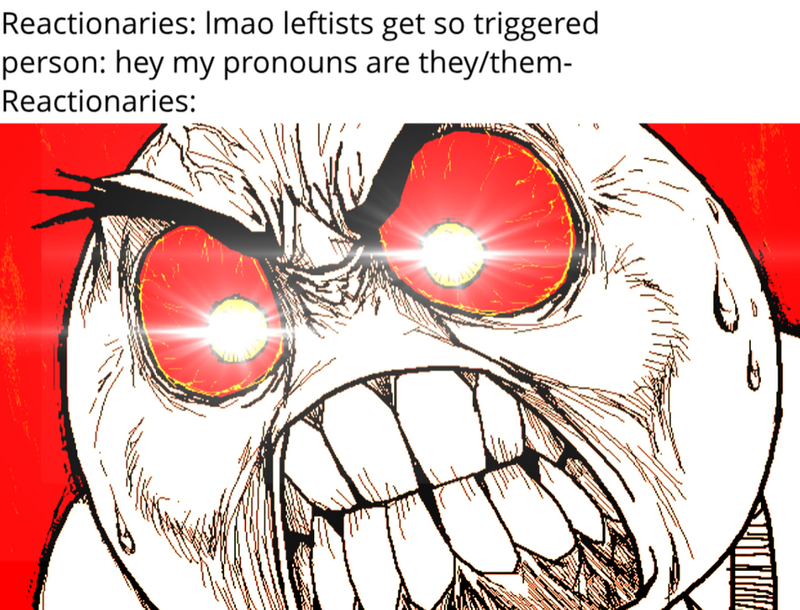 The #CuckPod list was started as a way to address these issues. To advise #NewHere ppl to d* that a certain amount of consideration should be put into choosing which pods one associates with. However, this network continues to grow and we can't keep track of all this on our own. 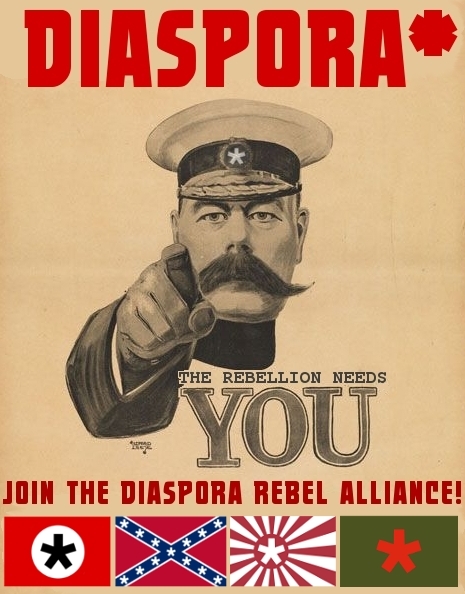 So we're extending the call to all like-minded Diasporans to join us. This becomes a bi-partisan crowd funding endeavour. Wether you consider yourself "left-wing" or "right-wing," the only pre-requisite for this is that you value the ideals of free speech. As long as you share this core value, we can collaborate to keep tabs on censorship within the network, regardless of other ideologies or political theories. Should you choose to answer the call, your level of participation is up to you. It could be as passive as simply liking or resharing a post, or it could be as active as strategizing tactics and writing news letters. Nothing here is coercive or forced. Our original movement grew organically and as per the decentralized tenets of the federation, we intend to grow the movement organically. Are you interested in working together to protect the values of free speech on this network? If so, The Diaspora Rebel Alliance would like to here from you. We believe Diasporans should be mature enough to decide on their own what content they want to see and interact with. The d* dev team gave us the block/delete/ignore functions for this reason. We see it as an insult to the intelligence of their user base when podmin make the decision for them, on what content they should see and who they should be allowed to interact with. We see politically biased shadow banning as going against the fundamental principles on which the diaspora project was conceived. 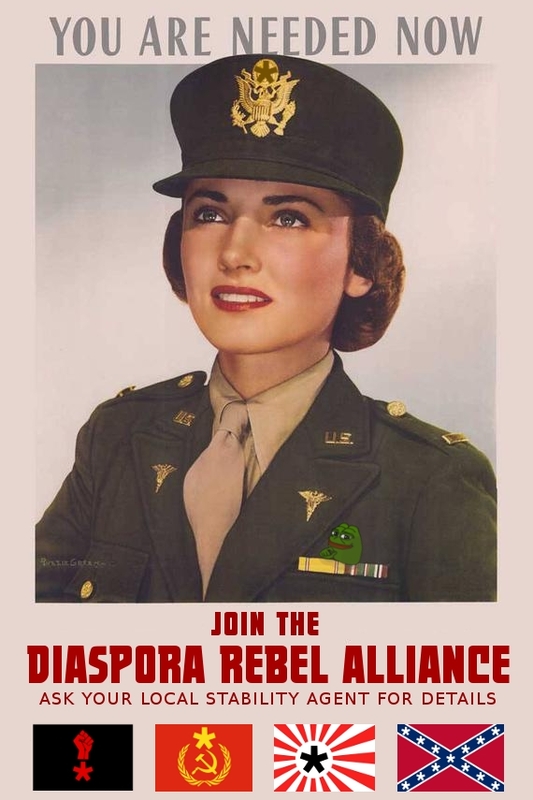 The Diaspora Rebel Alliance is a loose collective of dissidents, free thinkers and truth seekers, who were attracted to this network because of its foundational principles of freedom. We understand our rights to freedom of expression and freedom of association do not derive from any government, constitution, or man-made law. We see these as natural (God given) rights, but understand that these rights must be asserted, maintained and defended. 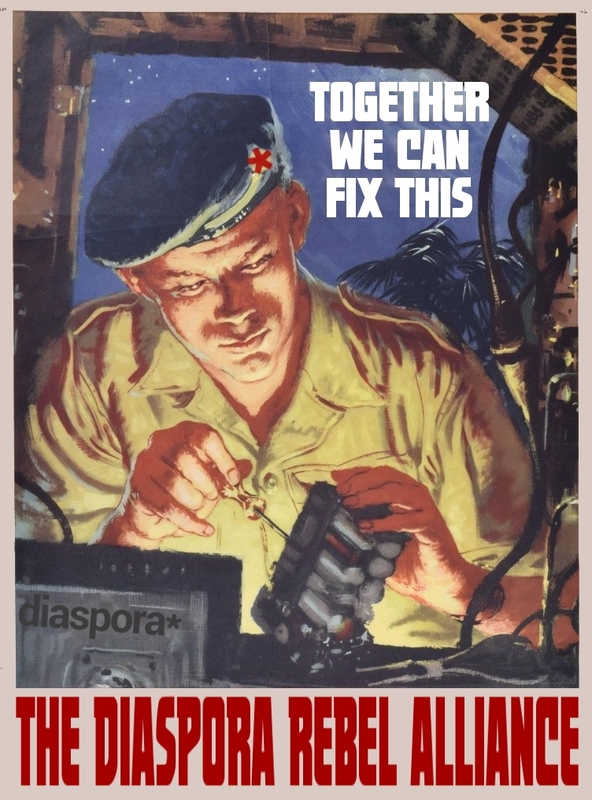 So we're extending the call to all like-minded Diasporans to join us. This is a bi-partisan grassroots initiative. Wether you consider yourself "left-wing" or "right-wing," the only pre-requisite for this is that you value the ideals of free speech. 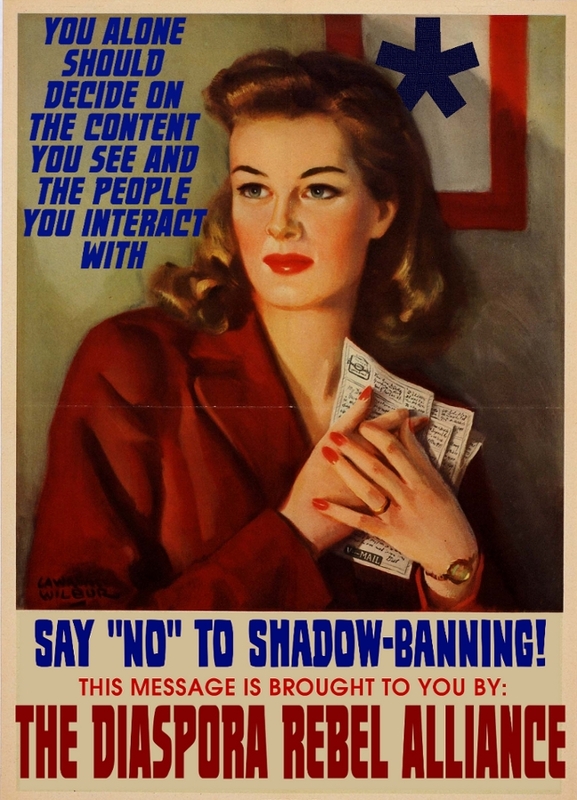 As long as you share this core value, we can collaborate to keep tabs on censorship within the network, regardless of other ideologies or political theories. Should you choose to answer the call, your level of participation is up to you. It could be as passive as simply liking or resharing a post, or it could be as active as strategizing tactics and writing news letters. Nothing here is coercive or forced. Our original movement grew organically and as per the decentralized tenets of the federation, we intend to grow the movement organically as well. Previous Rebel Alliance posts can be found: [Here] and [Here] -It is necessary that I use these pod specific links because due to shadow-banning these posts are not available on certain pods. Also, for those who may not have seen it yet, interested parties should check out my ongoing list of pods. Thank you for your consideration. 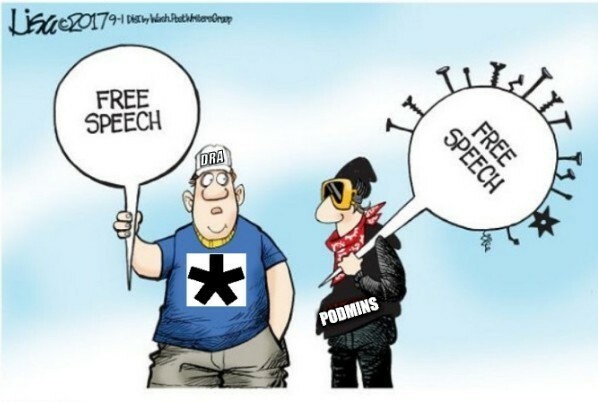 Defending one's right to free speech is not necessary if all one wants to do is parrot accepted establishment narratives. So for many of you, this post may seem frivolous. 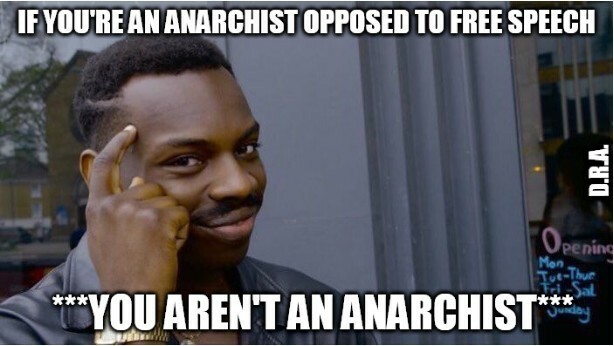 However, for those of you who do actually challenge the establishment status quo, defending our right to free expression is absolutely necessary. This is what the Diaspora Rebel Alliance is all about. We are extending the invitation for all like-minded denizens of diaspora to join us. Wether you consider yourself "left-wing" or "right-wing," the only pre-requisite for this is that you value the ideals of free speech. 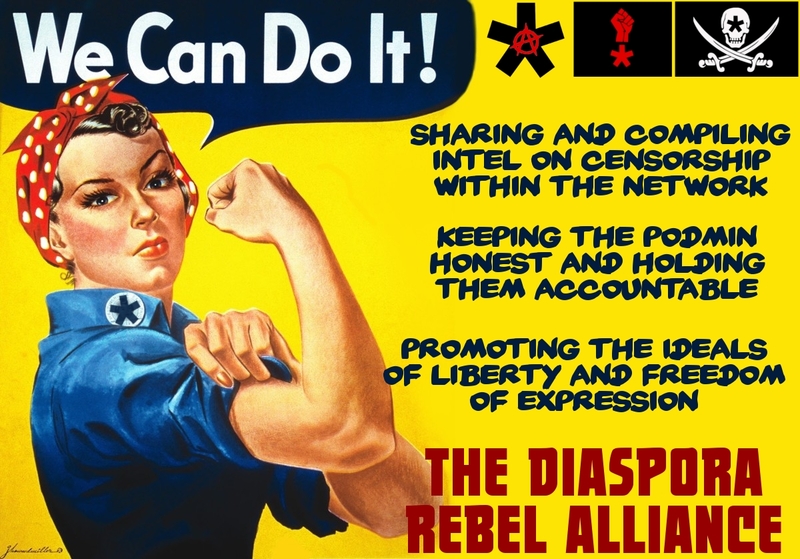 As long as you share this core value, we can collaborate to keep tabs on censorship within the network, regardless of other ideologies or political theories. This is not about politics, (though I am sure some will predictably try to drag the tired old political mud slinging into this.) 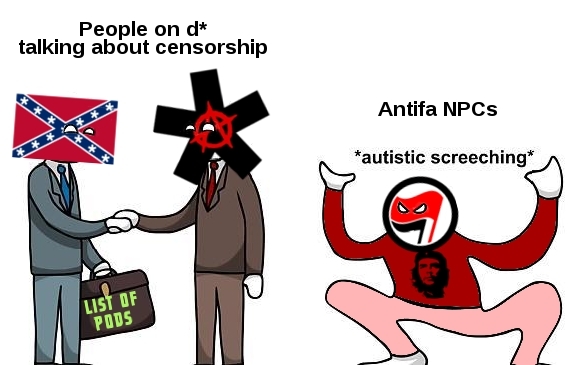 While the censorship and suppression seems so far to be politically one sided, you'd be naive to think that once they have silenced us, they won't eventually come for you too. 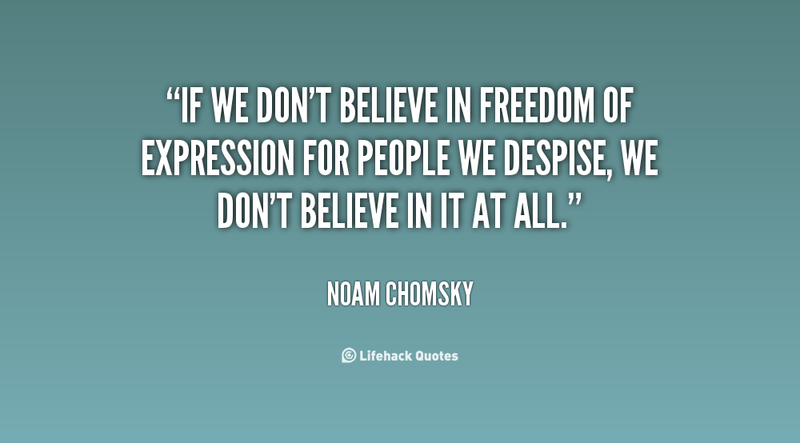 If you do not believe in free speech for those you're against, then you do not believe in free speech. It is really that simple.